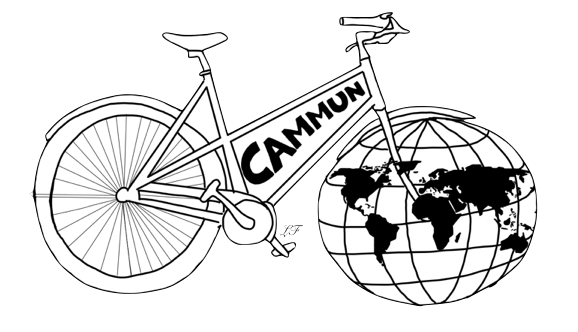 A CamMUN-specific map of the school can be found here. We’re thrilled that the Stephen Perse Foundation is hosting CamMUN 2020! The Stephen Perse Foundation is a group of seven independent schools in Cambridge and Saffron Walden that prepare young people for life in an ever-changing, global and digital world. Our 6th Form, located in the centre of Cambridge and designed to be the perfect transition from school to university, is the only Independent school in the area to offer the International Baccalaureate. Many of our students will be leaving 6th Form this year heading to universities including Oxford, Imperial, UCL, Stanford, University of Toronto and many more. Our 6th Form encourages students to take their own journey of intellectual discovery, with plenty of support on-hand should they need it. Whether pupils choose A Levels or the International Baccalaureate (IB) they are taught by brilliant, creative staff with a passion for their subject. Classes have a maximum of 15 students, allowing plenty of opportunity for discussion and enquiry, while regular one-to-ones support sessions ensure there’s always someone to turn to. We are very proud of our results – but it’s not all about that. Alongside excellent results, we offer a true breadth of learning – from philosophy for children in the Junior School, a unique guidance programme from Year 10 onwards, or our 6th Form Theory of Knowledge course – we never lose sight of learning. Excellence in results, combined with achievements in sport, music, drama and more ensures our pupils are well-rounded and leave us genuinely prepared for further study and life beyond. Find out more about the Stephen Perse Foundation by going to stephenperse.com or call us on 01223 454722.